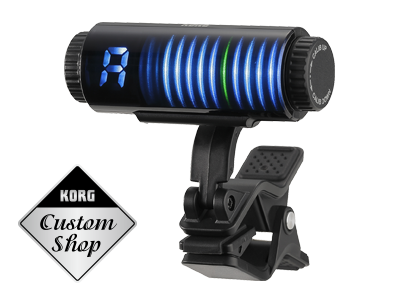 The Sledgehammer series is a new lineup of guitar/bass tuners that joins KORG's family of clip-on tuners. 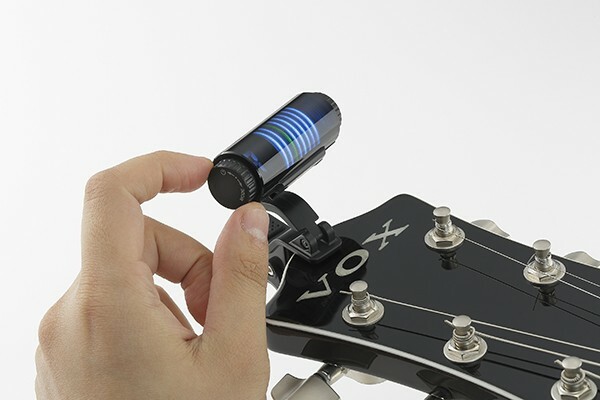 These tuners can be attached directly to your instrument for convenient tuning. The Sledgehammer Pro provides ultra-precise tuning with an accuracy of +/- 0.1 cents, making it one of the most reliable clip-on tuners ever produced! The beautiful three dimensional display offers unparalleled visibility, allowing you to tune confidently in any situation. 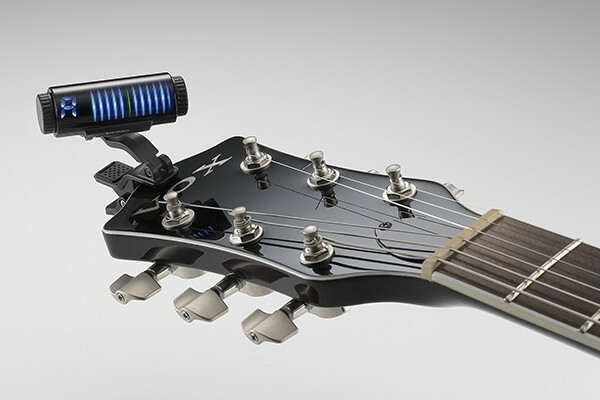 Its tubular body has a shuttle switch that's simple to use and allows you to easily operate the tuner with just one hand, even while performing. 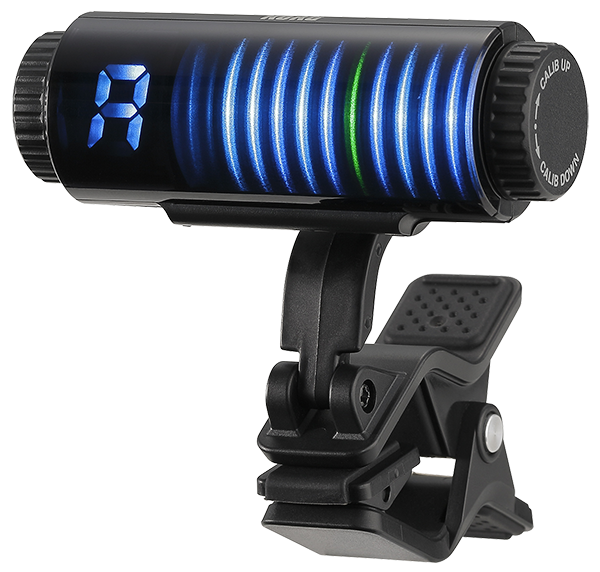 Offering both extreme accuracy and a unique, highly visible display, the Sledgehammer Pro is the ideal clip-on tuner for professional guitarists and bassists. With its high-impact tubular design, the Sledgehammer Pro features a significant change in operability compared to previous clip-on tuners. Since a shuttle switch is provided on both sides, you can easily operate the tuner with one hand while playing a string with the other, just like you would when turning a tuning peg. By simply by turning the switch slightly up or down you can turn the power on/off, switch modes, and adjust the calibration smoothly with just one hand. 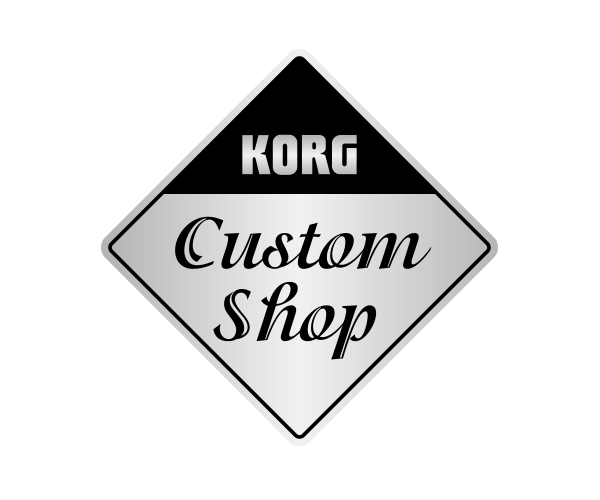 Designed with the professional user in mind, Korg’s Sledgehammer Pro offers extremely accurate tuning with a detection range of ±0.1 cents, a level of precision that is uncommon of clip-on tuners. With the Sledgehammer Pro, players of all styles can now enjoy the same ultra-high precision offered in Korg’s flagship tuner, the Pitchblack Pro. 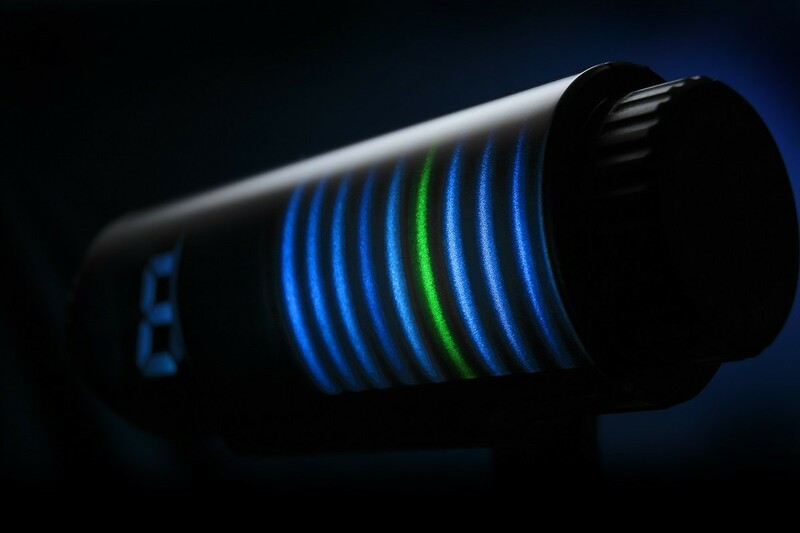 The Sledgehammer Pro’s unique 3D visual meter display, originally developed for the Pitchblack Pro, provides unparalleled brightness making it easier to take advantage of the Sledgehammer Pro’s precise tuning. Three types of display modes are offered: Regular, Strobe, and Half Strobe. Each mode can be easily selected according to the user’s preference. Strobe and Half Strobe mode reflect the extreme precision of the Sledgehammer Pro, making it more convenient to tune accurately. The clip is designed to make the connection with your instrument as efficient as possible, ensuring a firm grasp. The Sledgehammer Pro firmly adheres to a variety of guitar and bass headstocks. Even if you move around actively while performing, there's no danger that vibration or weight will cause the tuner to shift.